Pakistani Foreign Minister Khawaja Asif briefs reporters at the end of conference in Islamabad, Sep. 7, 2017. ISLAMABAD — Pakistan denounced Saturday as "irresponsible" remarks by rival India's army chief in which he vowed to expose "Pakistan's nuclear bogey" in the event of a war between the countries. Islamabad's reaction came a day after Indian General Bipin Rawat dismissed assertions that Pakistani "tactical" nuclear weapons had effectively countered India's ability to impose a conventional military war on the neighboring country. "We will call their bluff. If given the task, we will not say we cannot cross the border because they have nuclear weapons," Rawat said while speaking to reporters in New Delhi. 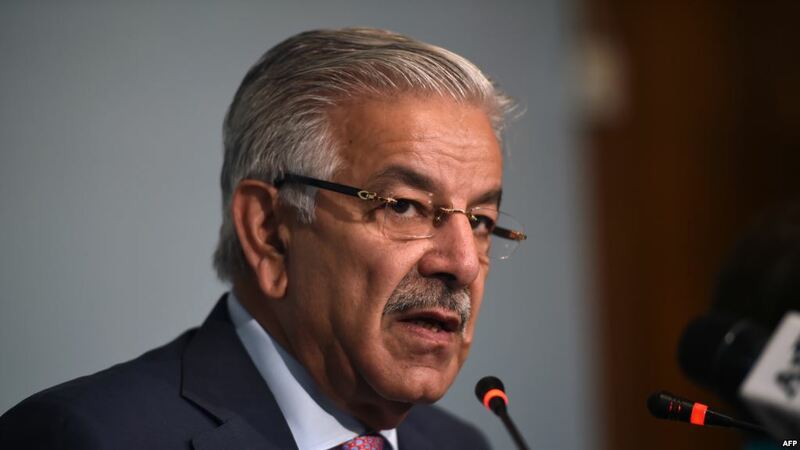 "Very irresponsible," tweeted Pakistani Foreign Minister Khawaja Asif while responding Saturday to Rawat's statement. WNU Editor: It looks like the war of words is heating up between Pakistan and India.